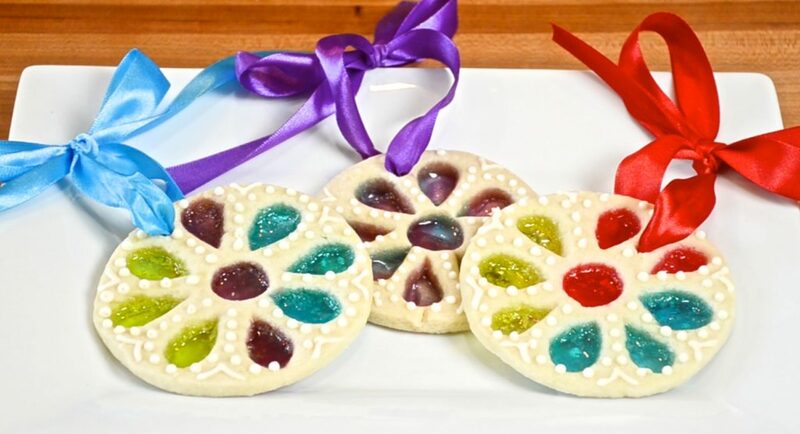 Learn how to make these beautiful stained glass window cookies inspired by the game Sagrada. 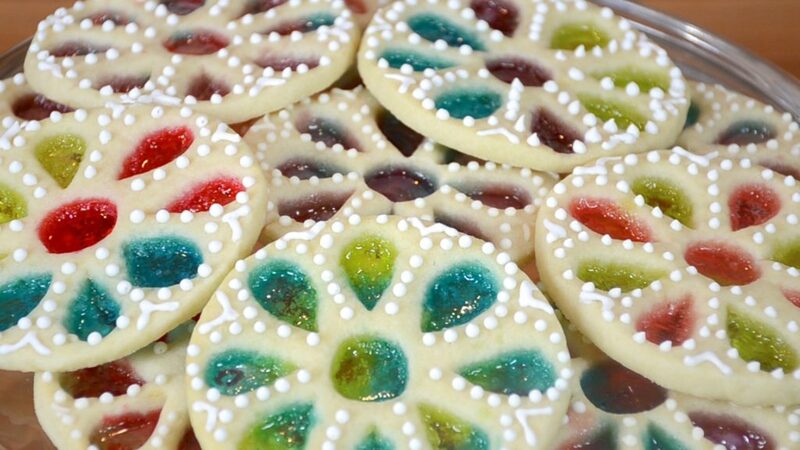 Beautiful cookies made with cookie dough and hard candies that resemble a stained glass window. The cookies can be eaten or made into ornaments. In a mixer, cream together the butter and sugar until fluffy and well incorporated. Add vanilla, princess bakery emulsion, salt and egg. Scrape the sides of the bowl as needed. Sprinkle a piece of parchment paper with flour and roll the dough out to 1/8 inch thickness. Transfer the dough to a cookie sheet and chill for 30 minutes. Separate each hard candy by color. Place them into a plastic bag and crush the candies with a hammer or meat tenderizer. 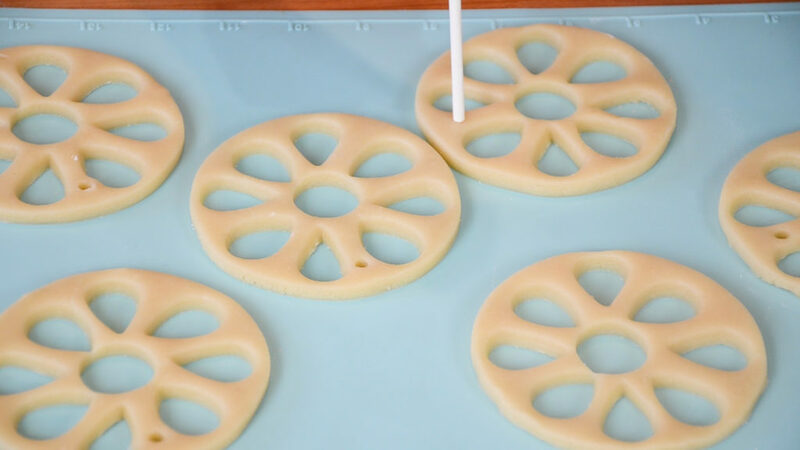 Take the chilled dough out of the refrigerator, and cut out the round cookie shapes. 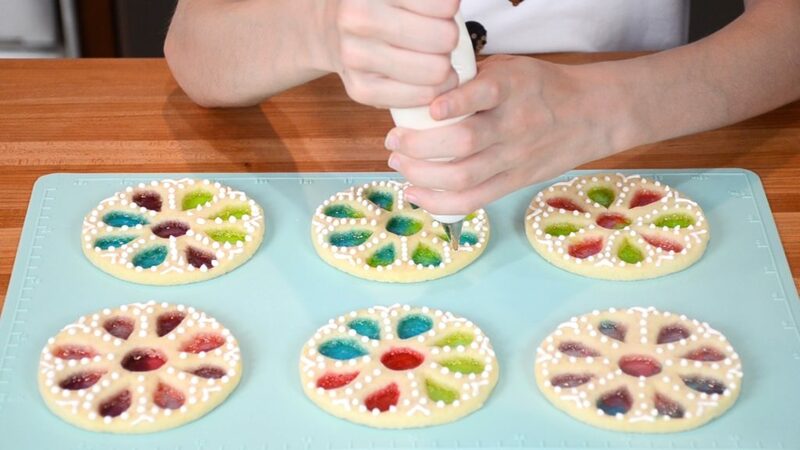 Next, use small cookie cutters to cut out the window design into the cookie. If you plan to turn these into ornaments, you will need to cut a small hole for the ribbon. Fill the spaces with the crushed candy. Bake cookies for 7-10 minutes at 350 degrees. Watch them carefully as they are baking. 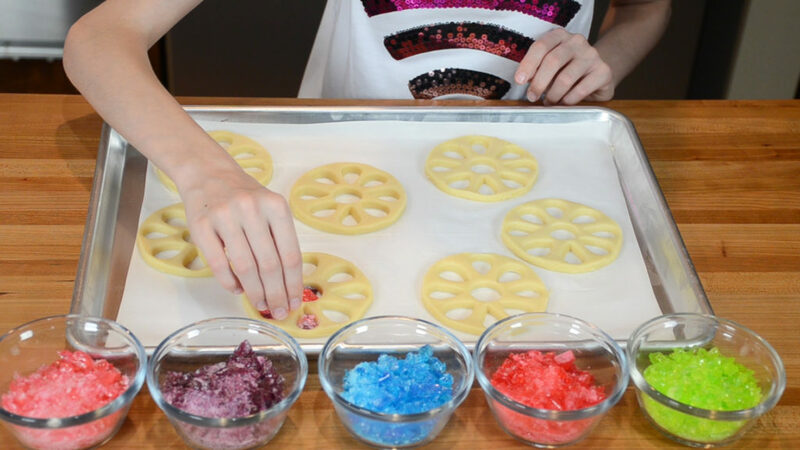 We found that Jolly Rancher hard candies have prettier colors, but were harder to eat after cooking. The Life Savers did not have as many pretty colors, but were softer and easier to eat.